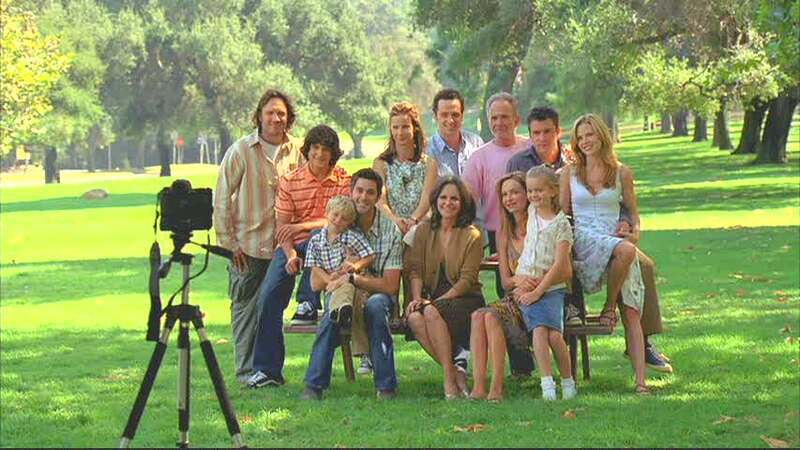 Brothers & Sisters premiered on ABC in 2006 about the Walkers, a family in California that owns Ojai Foods. They’ve had a lot to deal with since their father died, as they began to discover all sorts of secrets he had been keeping from them. The sets are fabulous — take a look! The Walker family, headed by matriarch Nora (Sally Field). They had me at the front door. The front hall with a curving staircase that features lots of family photos. In one episode, Nora hangs a family photo that doesn’t include daughter Kitty, and it causes all sorts of friction. A closer view of the photos in the stairwell. Kitty and Nora in the TV room. William Walker in his study. 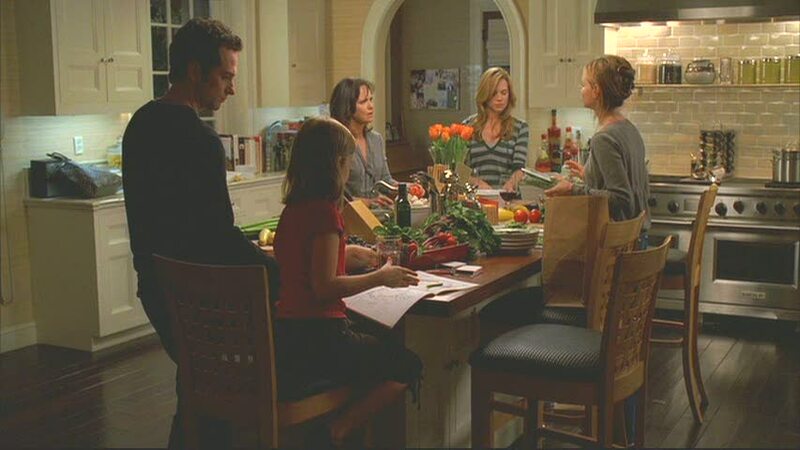 The dining room is a frequent gathering place for the Walker family. In this scene, attorney brother Kevin was reading their father’s will. Nora’s kitchen is one of my favorite rooms of the house. I couldn’t stop taking pictures of it (as you’ll see). 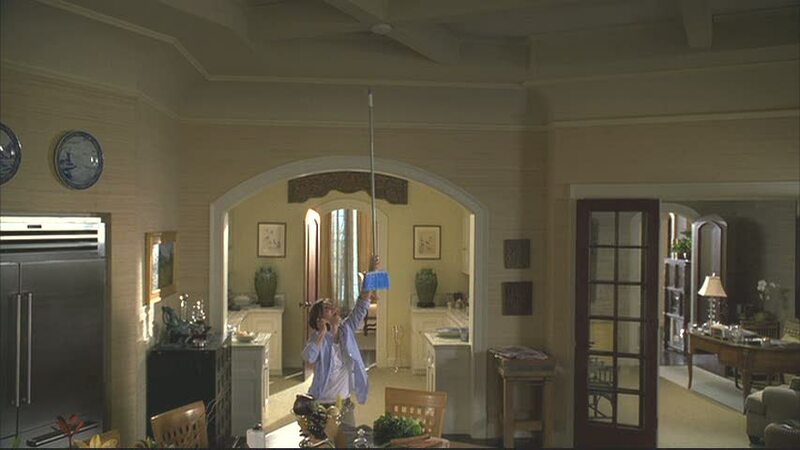 I was excited when Nora’s smoke detector went off in one episode because the camera looked up to reveal these amazing ceilings! There’s a kind of sitting room/study off the kitchen. A party in the backyard. Nora’s daughter Sarah and her family live in this house. This was the only shot of the front door I could get. Dear producers, please provide better views of the house in future. Thank you. 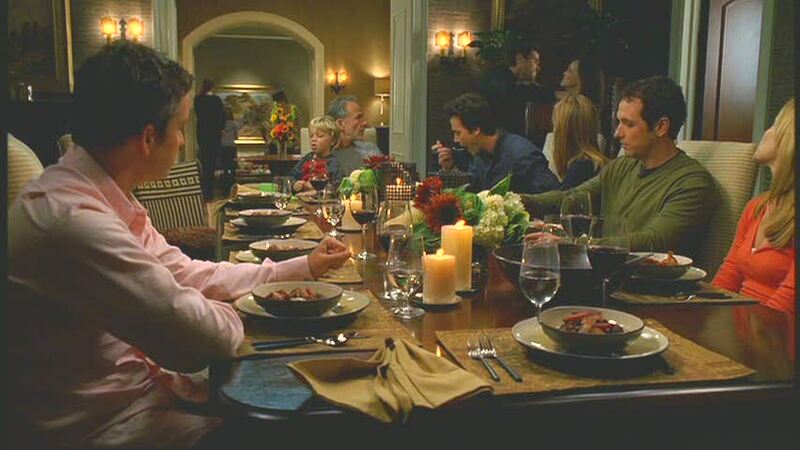 A Walker dinner party in Sarah’s dining room. 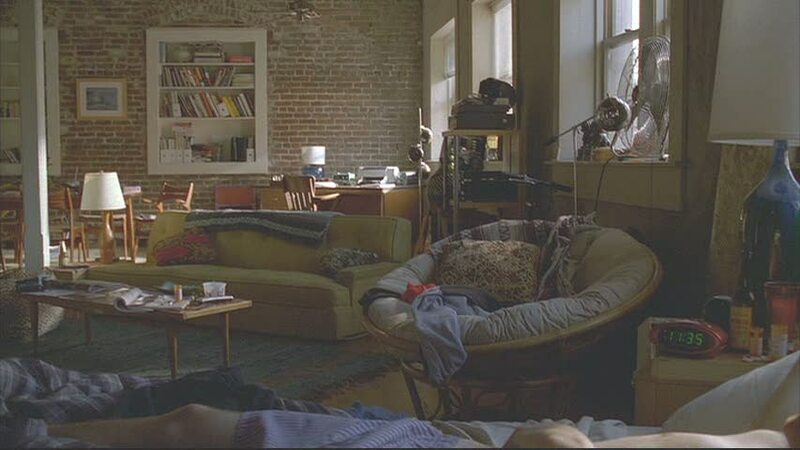 I also like the way they designed Justin’s bachelor apartment with the exposed brick walls. When decorating a set, I always keep in mind who the character is and what quirks I need to exploit to sell their personality. With the Walker Kitchen, I wanted to stay true to the architecture and to who Nora is. The house is a beautiful Spanish home in Pasadena so I wanted to sell the fact that the Walkers were financially well off without making them stuffy or material. I also made sure the house had a sense of history and functionality. Nora is very organized, obsessive, and a mother so I made sure her surroundings told her story. Do you love the sets on this show, too? Which one’s your favorite? 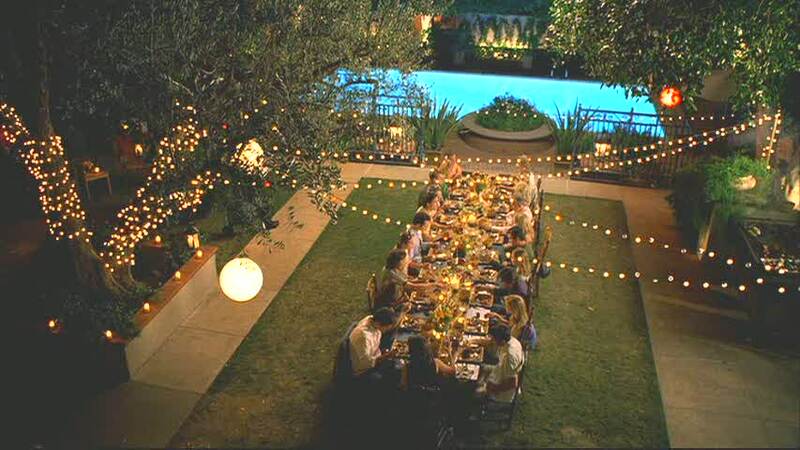 The Long Island Estate in the Movie "Sabrina"
Will You Win the HGTV Dream Home Tonight? I don’t know how you did it, but THANK YOU! Feel free to spend a whole week on the Walker houses. How about Tommy’s? How about the big house loaned to Kevin in one episode? Oh, and you could throw in a picture of Rob Lowe–just for good measure LOL! I’m curious… are the interiors of the houses sets, or are they actually staging and filming in the houses themselves? I’d LOVE to think that these beautiful homes look exactly like the sets do!! I was just watching this tonight, and coveting Nora’s kitchen! I love every detail!!!!! Melissa Lewis – Off The Wall’s last blog post..Monday Inspiration – Off The Wall Is Craving Flowers! Julia, I happen to be a fan of “Brothers & Sisters.” What fun to scroll through these photos! As with most families, the Walker’s often gather in the kitchen. These photos gave me a great view of the kitchen from different angles. Thanks! Susan Lang @ Designing Your Dream Home’s last blog post..Which Banquette Is Your Favorite? Oh ya, remember that I suggested the homes in “Failure to Launch”. L-O-V-E those!! That is a huge and beautiful house. mishelle’s last blog post..Embellishing , Projects and can a girl have to many pillows? Finally!!! I’m SOOO thankful! LOVE her home, it’s absolutely stunning! And the decor does develop throughout the seasons, Norah will redo the office (which ends up looking great). You’ll also get great views of the bedrooms, bathrooms and the pantry. There’s just so much eye candy in this show! Dagny @ Beautiful Living’s last blog post..Inngangsdør til begjær / Desireable front door.. I love the curved doorways, doors, ceiling…I could go on and on! Beautiful post Julia! Kim @ Forever Wherever’s last blog post..Shell Frame Tutorial and Giveaway!!! I have never seen the show before, but I’m hooked on Nora’s home! That kitchen is gorgeous. Can anyone tell what they have in the huge apothecary jars by the kitchen sink? I love the way they reflect the light from the window. It looks like one of them is filled with pasta. I’m always looking for good items – past the fruit – to display in my jars. I have never seen this show before!! I may be renting it now! What an amazing house!! WOW! It had me at the front door, too! Ooh, so nice! Nora’s kitchen is scrumptious, each and every detail. Both houses are just lovely. I would fill it up with light colored linen pieces to lighten it up a bit. But other than that~perfection! Julia, thank you for covering this lovely home. Whether it’s a set or a real house, the design is not only beautiful, but grounds the plotline as the environment for this family’s joys and sorrows. 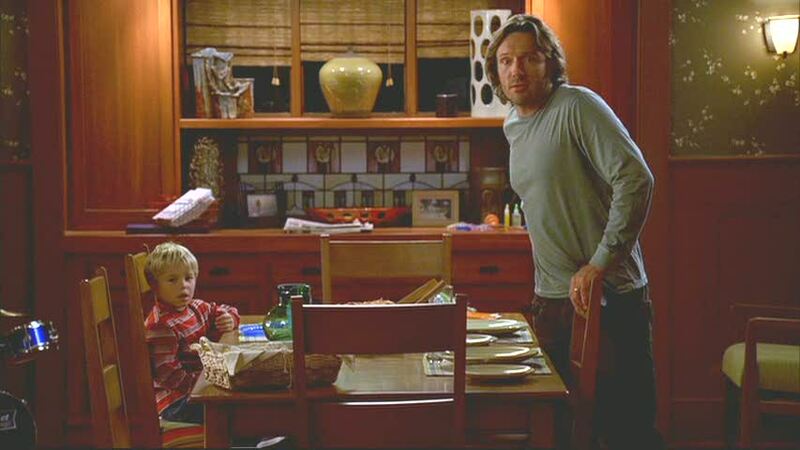 I second Amber’s mention of the homes in Failure To Launch. The Sarah Jessica Parker/Zooey Deschanel house and the home of Terry Bradshaw/Kathy Bates are also two great film houses. But what about coverage of, in my opinion, one of the great pastoral “hobbit-ations” from film…Bag End? Maybe Bilbo’s house was featured earlier; I’m a HoH newbie. Who wouldn’t love Bag End? Rich wood work, craftsmanship and character plus by being an eco-friendly subterranean you get natural climate control! Love your work, Julia! It’s a joy to visit. OMG! Love the Walker house. Sometimes watch the show just for the house. Let’s be honest. The storyline has struggled a bit… but the house-never. Pasadena has some of the best homes. The city was built at the right time. I think Nora’s home is beautiful. The stairway, the arched doorways and that great yard! WOW, that took alot of time and effort for those pictures. 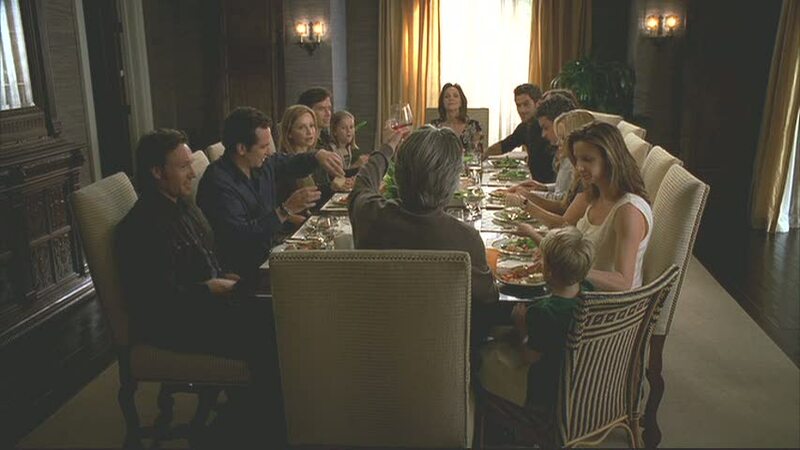 I am a super fan of B&S, not only for the story line, but the Walker family home. Simply love it!!! 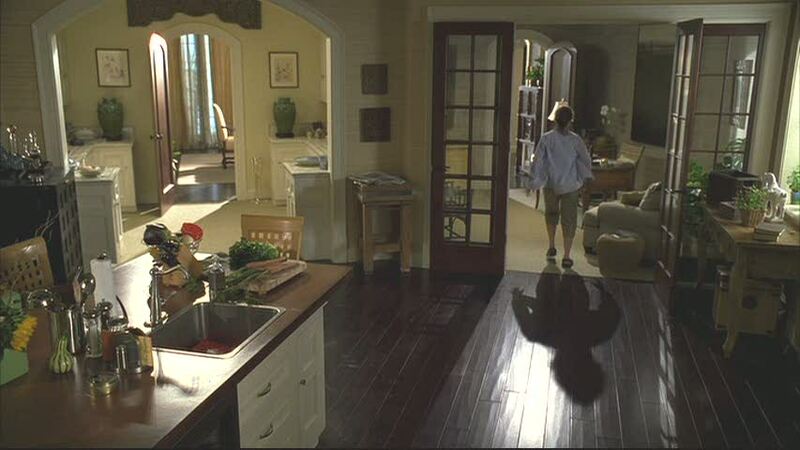 Except for the first season Sarah’s house is never shown as much in detail, mostly just the kitchen, making it appear smaller than what you see from the outside. Suzy’s last blog post..Best Cookies Ever…. I just “found” this show! I loved it right from the start because of those beautiful, beautiful homes! Thanks for giving us an inside look! You know I’ve never seen that show, but now I want to just to see the sets! Great homes. I was also feeling that the Walkers reminded me of the Stones. I have never taken the time to watch this program – but now that I know about their homes I will have to tune in one of these days! Thanks so much for the report, it was beautiful! This is such an interesting post!! 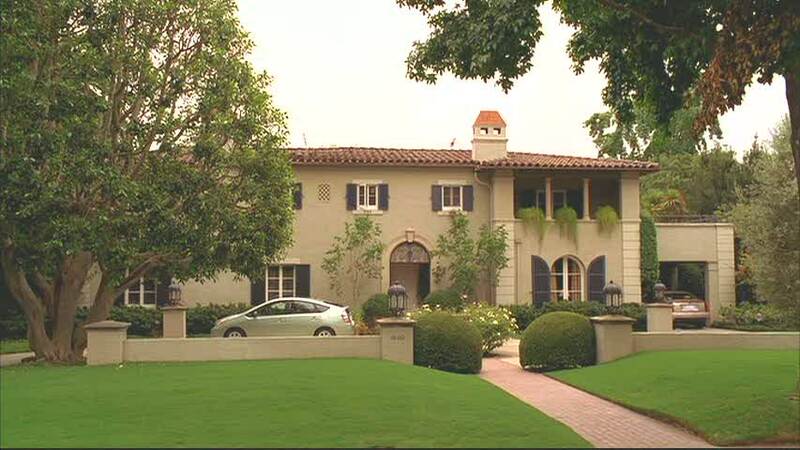 I don’t watch Brothers & Sisters, but I enjoyed looking at the pictures of the houses they use on the show. The kitchen IS nice — I really like the island and the cabinets 🙂 And WOW, that’s a HUGE dining room table!!! That kitchen has always been one of my favorites! And the front door! Oh My! Thanks for taking the time to post the pictures. I enjoy being able to study them in more detail! What a special treat, thank you! This is my favorite show!! I’ve been wanting a closer view of those giant apothecary jars in Nora’s kitchen. When I lived in the desert my house was a smaller version of this one. Of all the houses I’ve lived in, it’s my favorite. Robyn’s last blog post..BLUE MONDAY! SPRING FEVER! Although Holly needs some quality time out behind the wood shed, “her” house in Silver Lake is perfect; it reminds me of the houses my great uncles used to build after the war,3 bd, 1/¾ ba, eat in kit, a den (if the lot was big enough) and a 2 car garage, For $250 you could add a 15×20 flagstone patio with a brick BBQ/fireplace. The first home has a Tuscan feel to it. 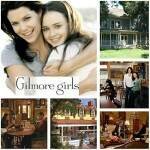 I wonder how many people use decor from shows as inspiration for thier personal abodes? For me, dedicated websites are more influential in developing new ideas. 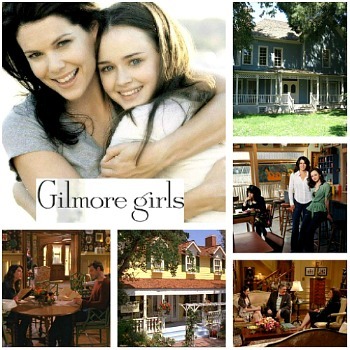 This is one of my favorite shows, and I love Nora’s house in particular. There are so many beautiful sconces around the house! My favorite room is the kitchen. I love that big open window above the sink. If only we were all so lucky to live in such fabulous houses! I do absolutely love the kitchen in Noras home. I love this show! Thanks for featuring the house. I too love the kitchen. I love that show…..I have been following Sally since she was The Flying Nun lol…thanks for the tour it is such a family/cozy home I think !!! Was that a butler’s pantry? Darla’s last blog post..Girlfrien got a new do…. Thanks for stopping by our blog earlier today and commenting on my old condo’s kitchen remodel – like you, I LOVE before and afters!! I hope you’ll drop in again, particularly in about a month when I hope to post my current kitchen’s before & after pics. 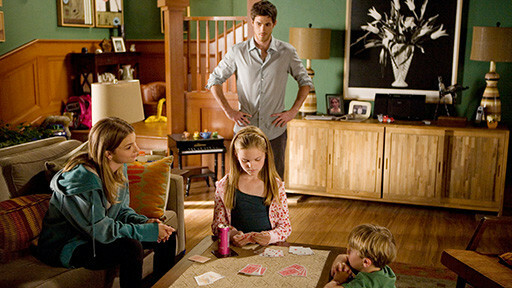 Your timing is so perfect…we were watching last night and commented about how great Nora’s house is. That, and we couldn’t figure out what William left Holly in his will. Did she get cash and buy Walker Landing, or did William leave her the company? We missed the first season. Wait, you mean people actually watch for the story line? And I was only watching for shots of Nora’s kitchen! Thank you!! What a beautiful house, I’ll have to rent the DVD now! Becky Satter’s last blog post..Done with pediatrics! I have been waiting everyday for you to show these! Thank you so much! I am IN LOVE with her kitchen and I would spend all day in there also! I had no idea she had such great detail to the ceilings…Thank you again — now I can tell all my friends to visit your blog for their fix! Oh I absolutely loved this post. I’ve never seen this show…and now I’m tempted to rent the whole first season and start catching up on it. What a gorgeous kitchen! And daughter Sarah’s house was beautiful too! 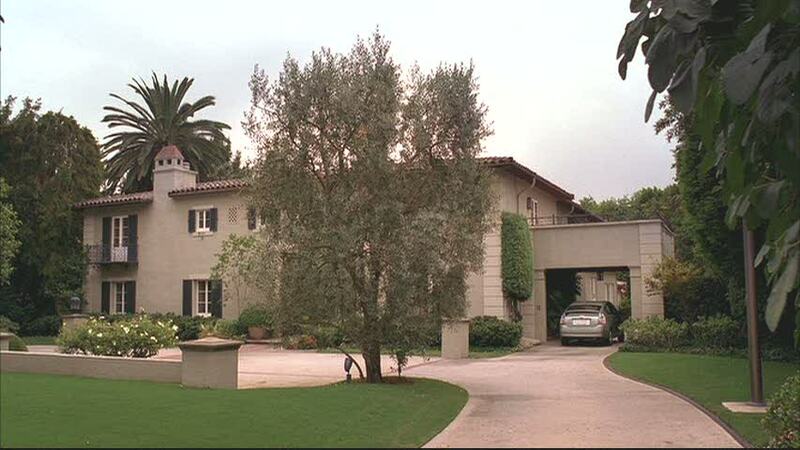 I can’t remember – have you featured the houses from the Steve Martin movie Father of the Bride? If so, nevermind! I think this must be the perfect house! I love the exterior, the kitchen and that staircase is gorgeous! Thanks so much for sharing! 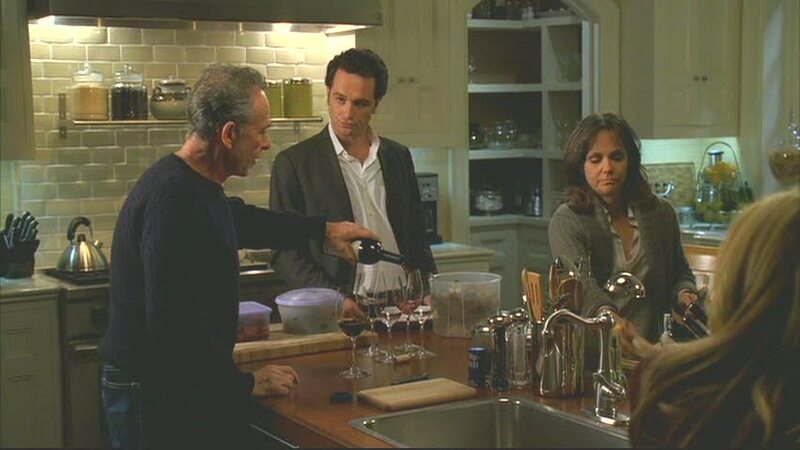 I have loved that show from the very first episode; not just because of the house or the incredible characters, but because I have a goal of being Sally Field when I “grow up”. I just love how “real” she is. Sleeping With the Enemy: there’s Julia Roberts’ stark modern beach house and then the cosy little small-town cottage she rents to escape her abusive husband. Obviously the contrast between the two homes are a big part of the before/after story of her escape. Sweet Home Alabama: Reese Witherspoon’s ex-husband has a lovely little log (I think) home that she makes all girly and pretty. And then there’s the southern-style mansion she pretends is her own, and the trash-tastic house (or was it a trailer?) that really was her childhood home. Can’t remember if any of these homes are worth a post, but can’t hurt to check it out! Thank you so much for sharing this with us. I too love the kitchen. Now THAT is a heart of the home!! Does anyone know what the island countertop is? Any guesses? I cannot tell but I love it. Great ´post Julia!!!! Thank you, I am waiting Mondays!!!! Thanks to your post I have not spent 8 hours watching part of season 1 on DVD. Love it! Thanks! I just have to point something out. I know the interiors are sets, but I can’t believe no one commented on the fact that the front entrance exterior of Nora’s house does not match with the architecture of the inside of the entryway. It’s obviously a three sided “bay window” type entry, while the exterior shot is a flat front house. As well, Sarah’s front entry is flat fronted, but the close up of the exterior of the front door clearly shows a window jutting out perpendiciular to the house on the left. I watch Brothers & Sisters every week and noticed little things about Nora’s kitchen that I liked but with the pictures you took I was able to see a lot more. Thank you for posting the pictures, I would love to have Nora’s kitchen! I love Nora’s kitchen. Can anyone tell me where i can buy those green subway tiles behind the stove? Great pics! I have one request, I am trying to find a pic of the house with the porch swing scene from Brothers and Sisters(that is my DREAM house)! Can you please put pics of that house up too? I stay in Bangalore, India which has these lovely British Bungalows. Your site has inspired me to document them as most of them are disappearing, making way to ugly apartment blocks. Holy cow, I’m supposed to be getting ready for the gym and somehow I’d missed a couple of your posts…now I’m just sitting here with my little heart all a-flutter! I so appreciate you doing this Julia! Deeeelight. Sheer delight! .-= Robin All Things Heart and Home´s last blog ..Figure Friendly Recipe ~ Chocolate Chip Cookies =-. I am also wondering what the counter top is on the island and also where to get the subway tiles that were used on wall. Awesome house, kitchen is my favorite. although, I love the dining room chairs, simple. ( the new dining room chairs) they have more wood on them than the original ones that were used on the set. Anyone know where we can find those? I inherited a dining room table like the one in the Nora Walker’s home. And like Jess in the post above, I am interested in the chairs paired with the table-perfect modern touch. WHERE did those come from? WOW, LOVE THE SITE. Keep up the great job. THANK YOU VERY MUCH!!! Your website is terrific! It’s soo good to know I’m not alone in my craziness of house-crushes on films and tv shows 🙂 I do have a question that I have always wondered about and perhaps someone out there knows: WHAT DO THE MOVIE PRODUCTION COMPANIES DO WITH ALL THE FURNITURE AFTER THE MOVIE IS COMPLETED???!!!! Is there an auction, an outlet, a website??? I’m pretty sure many people out there would LOVE to buy the living room set from one of your featured movies. Right? 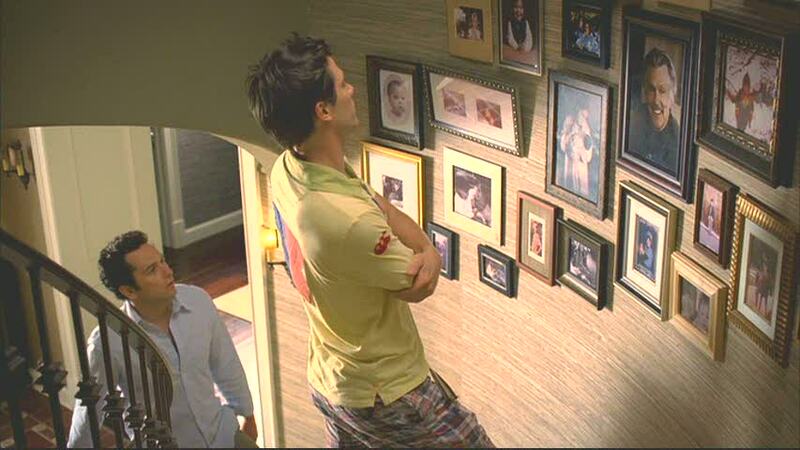 Does anyone know where to find the wallpaper that is in Sarah’s family room?? I just love it. Thanks for posting these kitchen pics. We just bought a new house and are rennovating the kitchen and bathroom and putting arched doorways in and out of the kitchen and these are just beautiful. Now I have the perfect picture to give my contractor! Thank u! .-= Candy´s last blog ..Dear Ikea, ur awesome =-. Does anyone know where to vind the apothecary jars that are shown in Nora’s kitchen by the window? please help where can i find the new dining room chairs and table in this seasons brothers & sisters? Have you noticed on this season of Brothers & Sisters how they changed the outside of Sara’s house? It is now a fabulous bungalow. Funny…they didn’t have her move in the show and the inside of her home still looks the same. You get a really good look at the exterior in the 3/14/2010 episode. .-= Melissa Precourt´s last blog ..Will he go for it? =-. Does anyone know where that fabulous bed that Justin & Rebecca have in their bedroom? Any idea the name of the designers of the wallpapers in Nora’s home? Nate, I am also looking for Nora’s wallpapers – I love the tan and the blue gray versions. Please let us know if you find the brand name and colors. 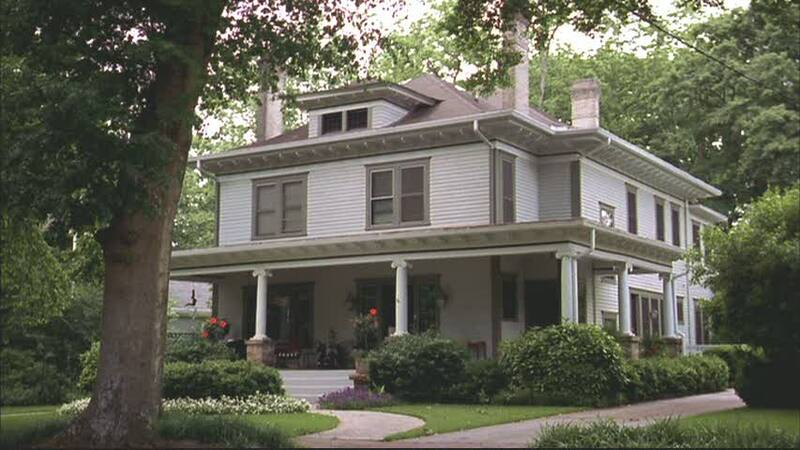 Does anyone know the outside paint color of Nora Walker’s House on Brothers and Sisters? Is that Black Trim? Everyone all over the web wants to know where to find the curved subway tiles in Nora’s kitchen! Why is this information so ellusive? Please, I want some…. Anne: Pottery Barn and Crate & Barrel. Her’s is a mix of both store’s apothecary jars. Thanks for this amazing work. I’m a big fan of this show, even if in France they stop showing it just after the first season but I keep watching online. I discover your blog searching photos of Nora’s House and now its on my favorite. Can you please tell me where I might find the wallpaper in Sarah’s kitchen. I’ve wanted to know since I first saw it but didn’t know how to find out – and then I found this site. Hoping you can help. I love this kitchen! 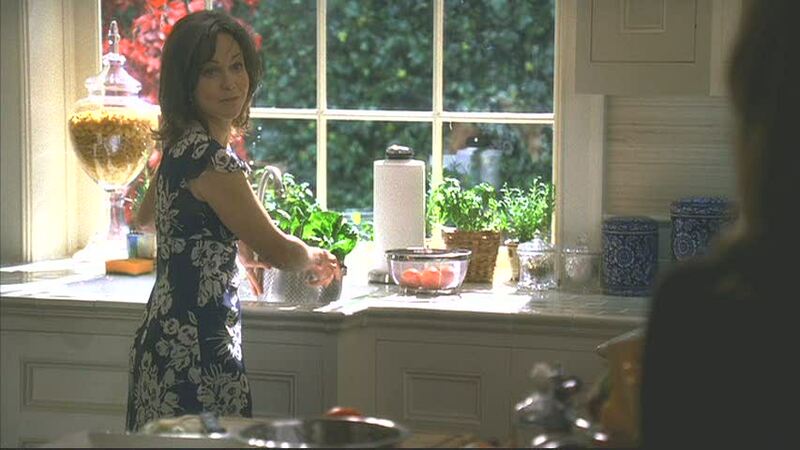 I also love the home in the movie “It’s complicated” the kitchen, the shop, the garden… it’s all just so stunning. 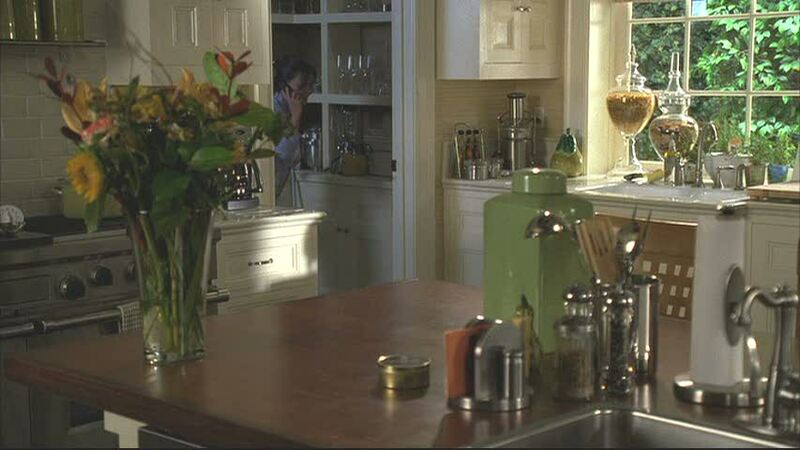 Can anyone tell me if the walls in Nora Walker’s kitchen are wood or a type of textured wallpaper???? I watch the show and I’m always trying to figure out what this one painting is that is off of the kitchen. It looks like a picture of a red river in a blue sky. I’m in love with it. Any help would be great. Thank you. I LOVE that painting too! Did anyone have the answer? I was also wondering about the large art on the walls in the dining room and study. If you know the names of the art please let us know. Thank you. Can someone please tell me where I can find the vertical poster in kevin and scotty’s apartment? It has Manhattan locations listed all over in different colors. I’v been searching everywhere!!!! Please help!! I’d like to buy it for my birthday. Hi – I am trying to find this poster too – if you have any luck in finding it please let me know! hi! i love your site…and i am in love with nora’s kitchen. do you have any info on her subway tile backsplash? i am re-doing my kitchen and would LOVE to get it!! To everyone who has been inquiring about the wallpaper – I believe it is a type of grass wallpaper. The texture looks similar if you google it. I love your blog! I was watching B&S tonight and there was a painting in Holly’s house that I really like. I wish I could figure out who the artist is. Kind of modern, very colorful. Any suggestions on where I could start looking? .-= The Waspy Redhead´s last blog ..Gypsy Picnic 11-6 – Austin Texas =-. I love the show and have seen every episode. 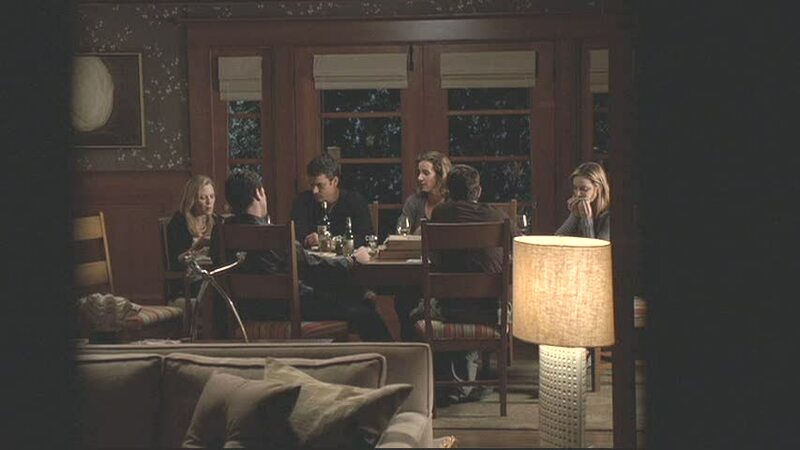 Last fall I noticed the multi-colored striped chairs and table at Sarah’s house. It would be perfect in my kitchen!! Does anyone know where I can find one like it? Please let me know! 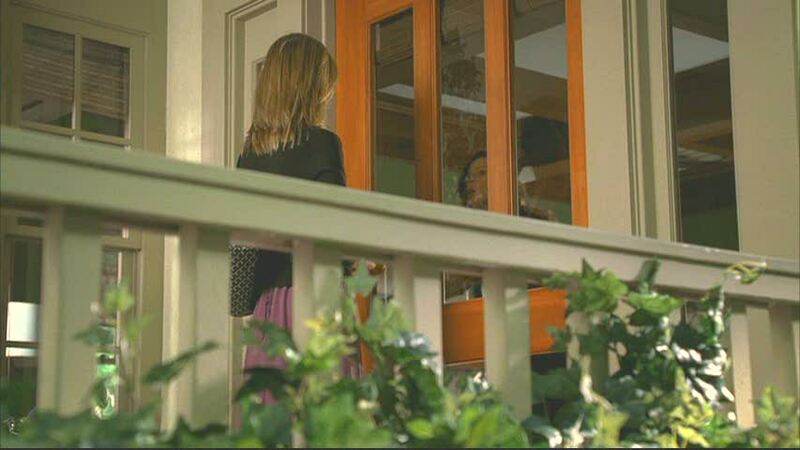 I am desparately trying to find the name of the color on Sarah’s walls around her front door on the inside. You could really see it well on Sunday’s episode…kind of blue kind of teal. I just painted my dining room blue and it is great but this color in Sarah’s entry would be THE PERFECT shade. Any help is appreciated!! The house is very wonderful! And very nice comments on the photos. Feels like you are doing tour guiding us to the house. Thank you so much for sharing this with us. I too love the kitchen. 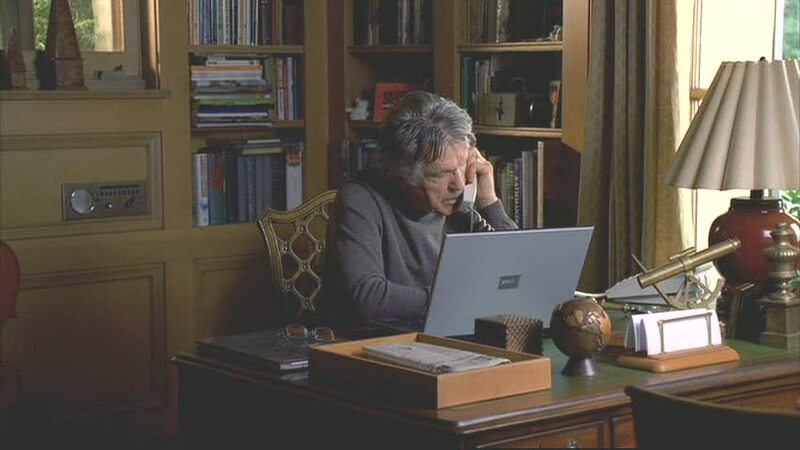 If you were to look for house plans similar to Nora’s house….what type of house would you search for? California Italianate, Mediterranean, French Country? Hmmm…not sure. Seems like there’s some Spanish influence in there, too. do you know where i can find a picture of the fireplace in Kitty’s new house? I know it and want to show it to my designer. You’ll need to get that season on DVD and take a snapshot of it. Not sure there are any photos of it on the Internet (that I’ve seen, anyway). Love the House! Love the Rob Lowe picture! Been in love with him since I was a teenager. I must say of all the teen heart throbs of my time – he has aged the best! So I was watching tv tonight and came across this show. It appears that I’m a wee bit late hearing about it. So anywho… as I’m watching (36 hours episode) I can’t help but look drop my jaw in awe of this beautiful home. Is the grasscloth not to die for?! Then I immediately thought about your blog. It’s been a while since I’ve checked it out and low and behold you have a post about it. Yeeees! So excited. i wish i could had a kitchen like this.Surely cooking is so much fun! Sorry, but I don’t have any idea about where to get the wallpaper. Good luck!